Explore the Old Burying Ground with us in a new tour! Walk through over three centuries of Lexington's past. The Old Burying Ground contains some of the most beautiful gravestone art in New England, and even has stones signed by their carvers! Discover how mortuary art has changed over time here, and meet some of Lexington's most famous inhabitants along the way. $5/adult, 16 & under FREE. Buy tickets at Buckman Tavern. Join us for a night in the 18th century underworld with a bawdy singalong and a presentation of The Beggar’s Opera, the first modern comedy musical from 1728! Follow the infamous highwayman Macheath as he tries to dodge his wife’s greedy family and the other ladies he abandoned along the way. Abridged by Diane Taraz, founder of the LHS Colonial Singers. Admission includes 18th century snacks and non-alcoholic beverages. Cash bar - try a glass of authentic Peachum's Punch! 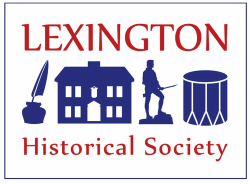 Visit the Lexington Historical Society website for more information and events. 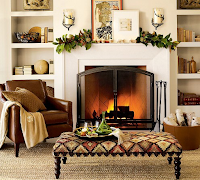 There are some fundamental areas of the home where it makes sense to invest more on certain pieces — or to hold back in lieu of something more rewarding. To help you create a balanced decor budget, here are areas to invest more in and areas where you can invest less. Durable, upholstered seating. Your primary sofa, sectional or other plush upholstered seating should be comfortable, durable and beautiful, and that formula tends to require an investment. Quality fabrics with tight weaves made of natural fibers (or high-grade synthetics) will feel nicer against the skin and be able to resist soil, even in lighter shades. Often, budget fabrics will cheat on durability, perhaps looking stylish in the showroom but not lasting through the wear and tear of real life. If you don’t want to replace your seating in five years, splurge a little up-front to get a well-constructed piece from a reputable manufacturer. Airy occasional tables. If your beautiful sofa is the star of the show, don’t hide it behind chunky tables. Leggy versions (like the barely-there side table shown here) give you a place to set a drink or book without taking up much visual real estate or a lot of your budget. Hard-wearing kitchen cabinets. 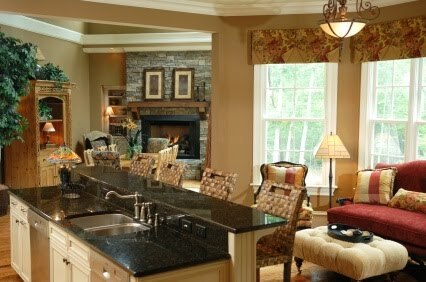 A good kitchen remodel can add value to your home, but not if it’s falling apart by the time you sell. If you skimp on your kitchen cabinets (especially the doors and drawer fronts), you may find things looking rough around the edges sooner than they should. This is true regardless of the style and finish you choose. Even white cabinets should be chosen in a hard-wearing material that will hold up to repeated use. If possible, avoid laminated finishes that show obvious seams at the corners, as this is where materials can start to separate. Real wood cabinets are refinishable or repaintable, so they’re always a good bet. Elegantly simple backsplashes.A backsplash doesn’t have to be busy to be beautiful. Simple subway tile or other functional porcelain tile arranged in a geometric pattern with a thoughtfully chosen grout color is an affordable way to enliven any kitchen. Another smart, low-cost backsplash option is to use a short band of your countertop material, which can often be made up of offcuts from the same slab. This will provide enough wall coverage to catch splashes, allowing you to leave the rest of the wall blank. A well-crafted dining table. The dining table, like your sofa, is a key piece of furniture that sees a lot of use — and suffers a lot of spills. White laminate tables are trendy but, depending on how they’re treated, can start to show wear and tear quite quickly. An elegant wood or stone dining table can suit any decor and can last for decades. Classic wood dining chairs.Wood chairs come in a range of prices, are timeless and suit any decor style. They also hold up better to dropped food than upholstered chairs because they’re so easy to wipe clean. This is definitely one area where you can look for low-cost options without a significant drop in quality. o get the best of both worlds, mix some wood chairs with upholstered seats at each end of the dining table, or use a banquette along one side. Time-tested plumbing essentials. When it comes to your plumbing, cutting corners is risky. A poor-quality fixture can be responsible for a leak whose repair costs far outstrip any up-front savings, so it’s definitely best to invest in a quality piece. Essential fixtures such as toilets don’t change quickly with trends like some other home goods, so there’s no reason not to choose a well-reviewed model from a reputable brand that has stood the test of time. Ask around for personal testimonials and recommendations rather than hunting for the lowest deal. Sleek vanity cabinets. Most bathrooms are fairly small, so often all you need is one dramatic element to bring the space to life. Use an airy floating vanity cabinet to keep the room feeling open and to free up your budget for something more exciting, such as dramatic floor tile. If you want a vanity with more personality, you still don’t necessarily have to spend much. Look to refurbished-furniture stores for wood cabinets and chests that can be turned into a vanity by adding a vessel sink. This will cost a bit more than a prefabricated unit, but if you shop creatively, the result will be more luxurious-looking than the sum of its parts. A cozy and comfortable bed. As it’s often said, we spend about a third of our lives in bed. So it makes sense to splurge on a bed that will properly support your mattress and a headboard that can help you read in comfort while anchoring a focal point for the room. It’s easy to fill out the rest of the decor with basic accents like paint or a single wall of wallpaper and let the bed be the star of the show, so go on and splurge a bit here. Functional nightstands. You can find all kinds of fancy nightstands these days with built-in chargers or stunning decorative features, but an inexpensive nightstand in a simple shape does the trick perfectly well. In fact, a boxy or rectangular nightstand can create a pleasing counterpoint to plush bedding and other soft accents, so why not choose something simple and functional? Find an option with an open shelf and you can easily style it with a few books to create a casually elegant look. Tailored window treatments. Whether you opt for fully custom draperies or prefabricated panel curtains, there’s one thing you should splurge on: a bit of tailoring to make sure the length of the panels is just right. Floor-to-ceiling draperies make a room look polished, but this effect goes away if the fabric is excessively pooled on the floor (possibly even sweeping up dust) or hanging several inches above it. Splurging on having your curtains professionally hemmed will ensure a correct fit for a priceless, sophisticated presentation. 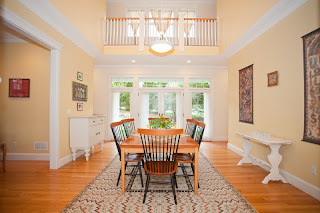 Suspended lights, such as pendants and chandeliers, are natural focal points. They hang down close to eye level and radiate light, so they tend to command attention. Splurging a little here can elevate the look of the whole room, as you’ll naturally focus on them instead of other, less-exciting pieces. Shaded table and floor lamps. What’s the first thing you notice in this room? It’s probably not the pair of table lamps flanking the sofa. You can find many artistic and striking table and floor lamps on the market, but if you already have other points of interest in the room, all you really need is a source of light that can blend in. Simple table lamps with classic drum or cone shapes are timeless and mix into any decor seamlessly. Mix-and-match accessories. When it comes to pieces such as throw pillows and blankets, it may feel as though you can never have enough. Keep an eye out for deals on pillows and other trendy accents to update your look with minimal investment. Don’t be afraid to choose pieces that don’t perfectly “match.” Instead, pick up on a family of hues or add a new design element altogether. If you want to change the look down the road, you can move these pieces to a different room or store them away for a season. Homeownership can have a dark underbelly, full of scary things we pretend don't exist when we turn out the lights. The scary truth is you're not the only one living in your house. Whether you see them or not, you're hosting a number of nightmare-inducing, creepy, crawly creatures. Sometimes they stay hidden, in dark corners under the house. All too often, they decide to come out and say hi. Don't let the pests win! To keep them at bay, you just have to exercise a bit of exterminator expertise. Take back command of your home, and heed these eight things that pest control pros wish you knew. We often associate mice, roaches, and other pests with unkempt, dirty homes. But you keep a relatively clean house! These wannabe intruders are no match for you, right? Not so fast—even pristine homes can have pest infestations. “Mice can survive on just 3 to 4 grams of food per day, so a few crumbs here and there are all they need to thrive in your home,” says Joe Magyar, branch manager at Terminix in Madison, AL. “Good sanitation won’t get rid of them, but a messy house will attract them. So be sure to vacuum floors regularly, wipe down counters, and eliminate access to food sources." Food and clutter aren't the only things that attract pests. Beware of leaky pipes, clogged drains, or anything that creates standing water around your home. But you don't have to take our word for it. Just get a load of this horrifying anecdote from Kim Kelley-Tunis, director of quality assurance for Orkin in Atlanta. “One time I went into a house and took a look at the plumbing, which at first glance had a furry appearance to it,“ Kelley-Tunis says. “Upon closer inspection, there were cockroaches living on the piping in such large numbers that their antennae and legs gave the piping this sort of hairy look. When there are that many cockroaches in your home, you have a serious problem." Besides being gross, pests can also do serious damage that could put your house and your family in jeopardy. For example, rats can chew on—and fray—wires, which is a major fire hazard. “Spotting a rodent issue early and resolving it immediately is incredibly important for this reason, let alone the fact that rodents carry numerous pathogens on their bodies and are known disease spreaders,” Kelley-Tunis says. 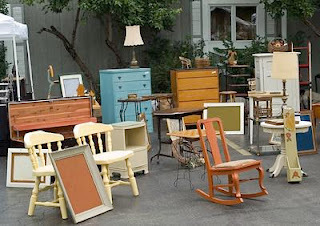 We're not saying you should pass up that fabulous antique chair you spotted at the weekend's estate sale, or the storage ottoman you can have for a steal on Craigslist. But just know that those pieces of furniture might come with some special guests. “Technicians have encountered situations where a homeowner has purchased a new piece of furniture at an antique store and accidentally brought in termites or bedbugs to their home,” Kelley-Tunis says. She stresses that it’s vital to closely inspect any secondhand furniture that you bring into the house. As much as you want to believe that the huge waterbug you just squashed (in alarmingly close proximity to your blender full of kale smoothie) was just a solo infiltrator, we're here to break the bad news: It’s probably not the case. Matteo Grader, pest control specialist at Panther Pest Control, describes the scene of a homeowner who thought he’d gotten rid of his mice infestation himself. He thought wrong. “He bought some cheap mice poison from the store and placed it in every corner of his house. The mice had eaten from the poison, but unfortunately they were able to find a narrow place to hide in before they died (which is typical for mice)," Grader recalls. "So the customer thought he got rid of the problem, until one day there was a disgusting smell in his home. "During the inspection we found that there were more than 10 dead mice trapped inside the walls between the living room and the kitchen,” he adds. If you insist on using poison, be prepared to call in a pro to remove the remains from your walls or pipes. Blecch! If the idea of a snap trap makes you feel queasy, or you're concerned about your pets being underfoot, there are other options (ones that won't send pests crawling into your walls). For example, PETA offers instructions on how to make humane rat traps. Other experts recommend peppermint oil to deter rodents. 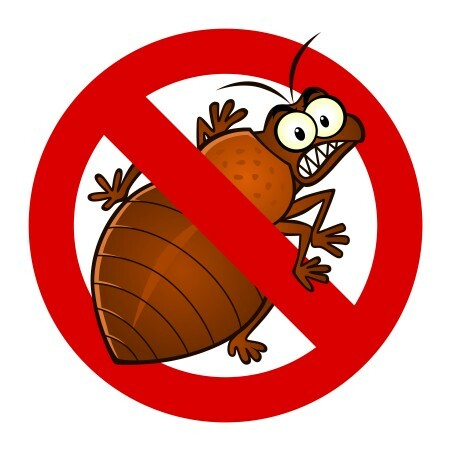 There are even humane options for cockroach control, such as putting stoppers in all drains and sealing up spaces between floorboards, under counters, and around sinks. You can also try placing dried bay leaves in your drawers and cabinets to repel them. We applaud you for having the courage to DIY your pest situation. Really, we do. But even the bravest homeowners need to ask for help every now and then. 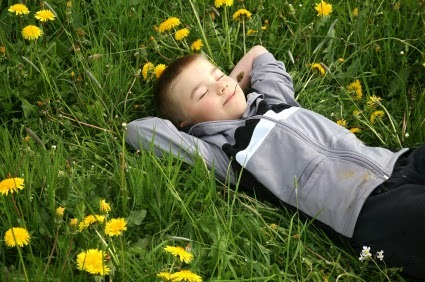 And when it comes to pest control, you should make that call sooner rather than later, says Brian Kelly of Twin Forks Pest Control, in Southampton, NY. The Metropolitan Wind Symphony will continue their 47th season with 3 Free traditional outdoor Band Concerts on Thursday July 12, 19, and 26, from 7:30 to 8:30 pm, at Hastings Park, Levi Burnell Bandstand, Mass. Ave. and Worthen Road, Lexington, MA. MetWinds musicians Mark Olson, Bruce Houston, and Greg Depp will conduct the varied music programs, which will have something for all tastes. Mark Olson is director of the Harvard Band, the Harvard Wind Ensemble and the Middlesex Concert Band, Bruce Houston is music director of the Southeastern Massachusetts Community Band, and Greg Depp is a former music teacher and conductor. Selections will include Stars and Stripes Forever and The Thunderer by John Philip Sousa, Tribute to Irving Berlin by Irving Berlin, Porgy and Bess by George Gershwin, Shenandoah by Frank Ticheli, La Gazza Ladra by Gioachino Rossini, The Klaxon by Henry Fillmore, First Suite by Gustaf Holst, West Side Story by Leonard Bernstein, The Cowboys Overture by John Williams, Down a Country Lane by Aaron Copland, Pie in the Face Polka by Henry Mancini, and The Sound of Music by Richard Rodgers. Patrons are encouraged to bring a blanket or chair and to picnic while enjoying the concerts. The concerts will be held, weather permitting. MetWinds Music Director Lewis Buckley earned his undergraduate degree from the Eastman School of Music and his Master’s degree from Connecticut College. In 1975, he became the Coast Guard Band’s fifth director at age 27 and held that post for 29 years. He continues to compose, arrange, and publish music. He also remains an active trumpet soloist, frequently combining solo appearances with conducting, often in premiere performances of his own commissioned works. Buckley has a diverse background, having conducted bands, orchestras, and choruses in all styles of music. Admission and Parking are FREE! Visit the MetWinds web page at http://www.mws-boston.org for information and directions. Email mws@mws-boston.org or call the MetWinds Concert Line at (978) 419-1697 with any questions. Founded by Jerry Gardner in 1971, the Metropolitan Wind Symphony, a concert band, is currently celebrating its 47th anniversary. The MetWinds comprises over 70 talented woodwind, brass, and percussion instrumentalists who audition for membership and seating. It makes a significant contribution to the cultural life of the Greater Boston community by providing its audiences with high quality concerts and its members with opportunities for musical growth. These concerts by the Metropolitan Wind Symphony are funded in part by the National Endowment for the Arts, the Massachusetts Cultural Council, a state agency, and the Lexington Council for the Arts. 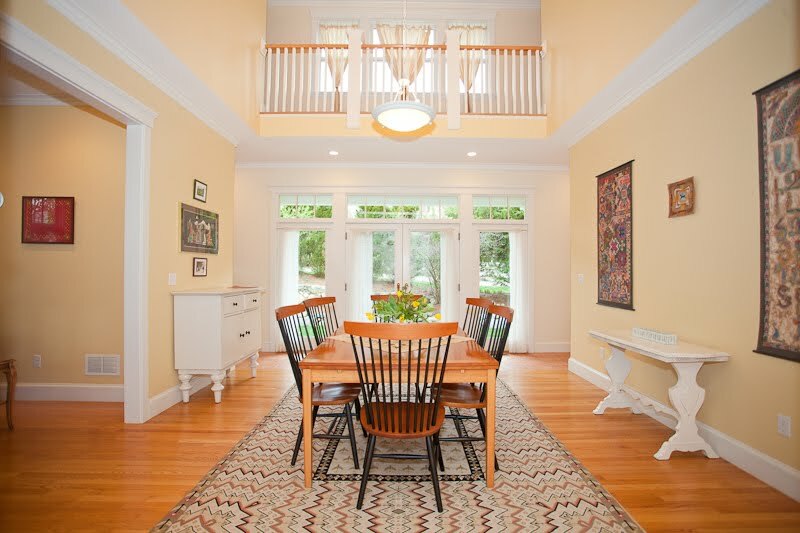 Should You Pay Asking Price of Lexington MA Home? 1. Appraisal. Don’t skip an appraisal contingency. Find out what the home is worth, and try to negotiate a better deal if there is a large discrepancy. 2. Home Inspection. A home inspection contingency will let you know what shape the house is in, and if any expensive repairs are in your future. 3. Market Conditions. This will help you understand if the price is on par with the market. Comparable sales are important too, so you can see what other similar homes listed for and sold for. 4. Amenities. More up-to-date amenities will yield a higher asking price. It’s up to you whether you’re willing to pay more for them! All of this knowledge will help you negotiate a price. For home-buying assistance in the Lexington real estate market this summer, contact me, your Lexington real estate agent!